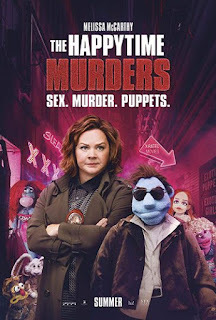 Home » Past Screenings » THE HAPPYTIME MURDERS Advance Screening Passes! THE HAPPYTIME MURDERS Advance Screening Passes! 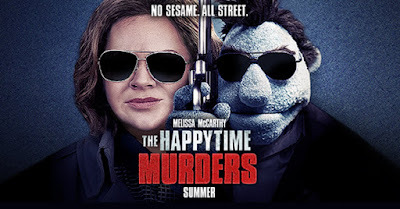 Do you want to see THE HAPPYTIME MURDERS before anyone else? Learn how you can see an Advance Screening to see it before anyone else. Set in the underbelly of Los Angeles where puppets and humans coexist, detective Connie Edwards (Melissa McCarthy) teams up with her puppet partner, Phil Philips, to find out who’s behind a series of puppet murders. From Brian Henson, the son of Jim Henson and director of The Muppets Christmas Carol and Muppets Treasure Island, comes the least kid friendly puppet movie ever made. THE HAPPYTIME MURDERS is a hilarious and outrageous R-rated comedy unlike anything you’ve ever seen, starring the very funny Melissa McCarthy alongside comedy all-stars Maya Rudolph, Joel McHale and Elizabeth Banks. THE HAPPYTIME MURDERS is in theaters on August 24th, 2018.